A spinning class at Flywheel Sports is no ordinary bike ride. It’s an experience that lasts 45 or 60 minutes and includes climbs and descents, while working arms with weighted bars. Their state-of-the-art studios offer stadium-style seating, making every seat in the house a good one. So how do they keep their riders (who spend about $30 per class) hydrated in style? By offering great tasting Vero Water as another best in class amenity. Flywheel approached Vero with a problem: they were spending thousands of dollars every month on complimentary plastic water bottles, and they wanted to reduce both that expense, as well as the huge environmental impact they were creating in the process. By installing Vero’s state of the art water bottling and purification system, Flyweel was instantly able to reduce their expenses to a low, fixed monthly rate while at the same time providing a great tasting water that would live up to their clients discerning tastes. 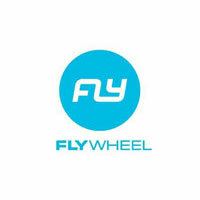 Founders Ruth Zuckerman and Jay Galluzo opened their first Flywheel studio in 2010. Since opening Zuckerman and Galluzo have made a reputation for having a cult like following at their studios nationwide-celebrity fans include Sofia Vergara, Jillian Michaels of the Biggest Loser, Jimmy Fallon and Matthew Broderick.